Bureau for the Emergence of Co-Evolutionary Agents collaboration with spurse. 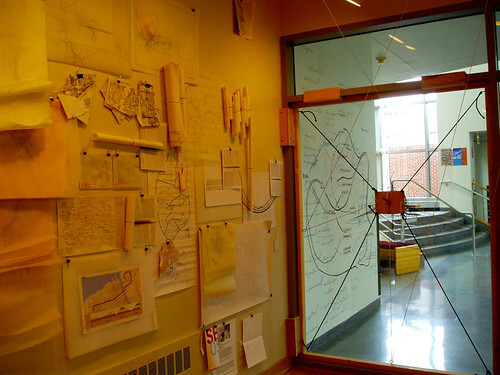 Mercer Gallery, Monroe Community College. Rochester, New York. March – April 2007. What is drawing and how does it produce new relations to our environment that are not contingent on the fixed representations of the world we live in? 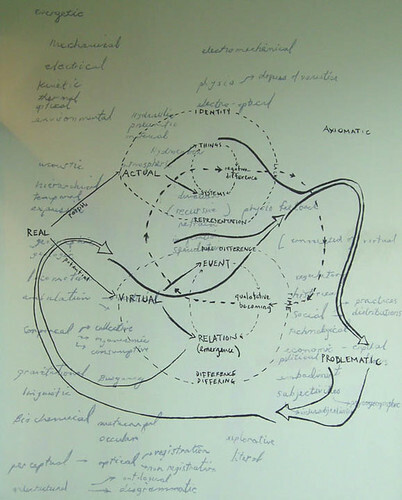 How can drawing be used as a dynamic mediator of experience? 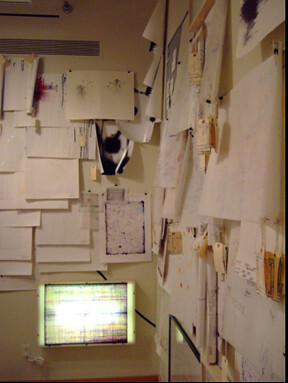 This exhibit is made up of a selected variety of experimental drawings, from a wide range of individuals who have (or will have), in one form or other, collaborated on a spurse sponsored project (as well as other artists interested in the ideas of experimental drawing practices). 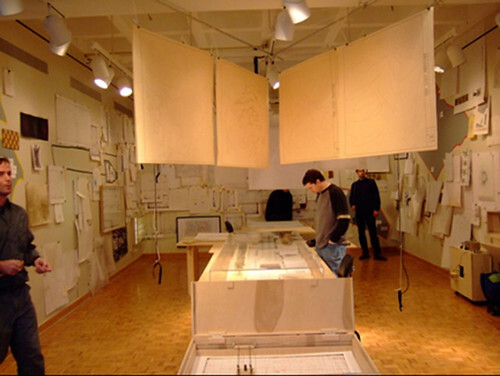 Some of the drawings for this exhibit would be comprised of an archive of drawings that total over 2000, which have been produced by drawing machines, and other experimental practices of human and non-human collaboration. 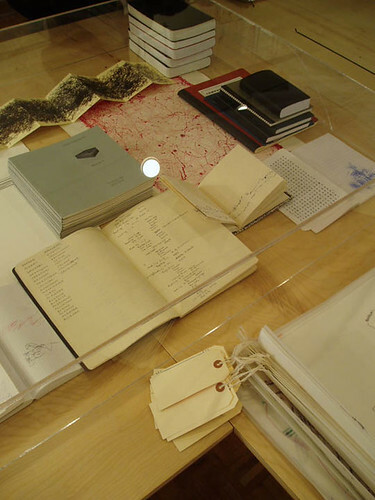 This massive archive is centered not on the creation of a static or reflexive image that mirrors reality, but rather upon drawing as an experimental engagement of one’s body in the world. 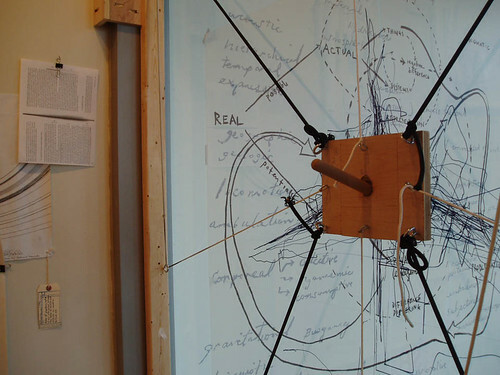 spurse’s investigation of drawing machines center on mechanisms that operate in tandem with the body, in that they are activated by one’s bodily movement in space, thereby becoming an expression of the body in the world rather than a representation of it. 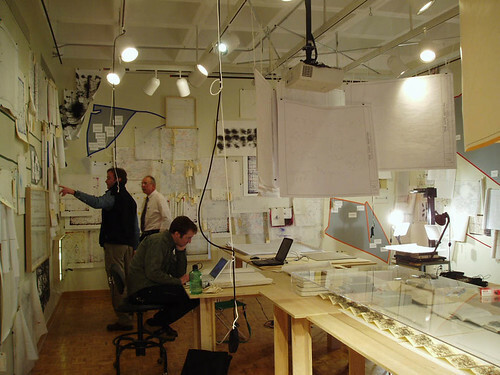 One of the components to this exhibit would be drawing machines capable of producing drawings in situ e.g., by the movement of visitors in and within proximity of the Gallery (from the mechanical movement of the Gallery’s entry door(s), by the movement of a computer mouse, and other potential activators). 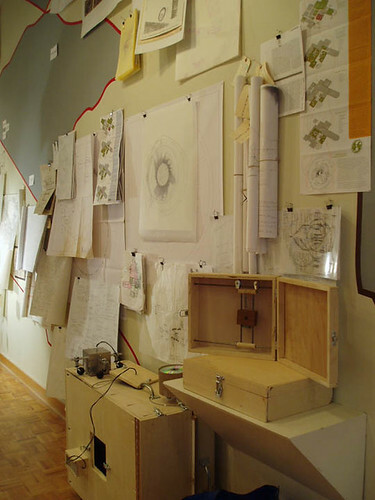 These machines will be in constant production throughout the duration of the show, generating drawings based upon the participation of visitors. 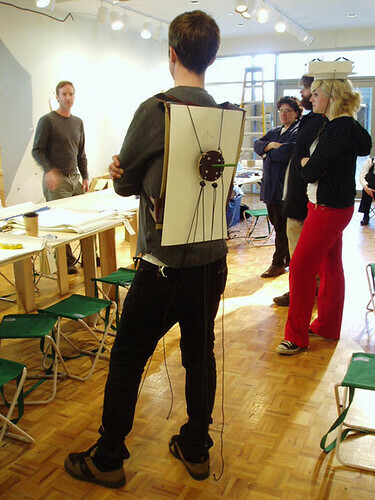 In effect, the exhibition becomes itself a machine, capturing, coding and decoding everything it intersects.